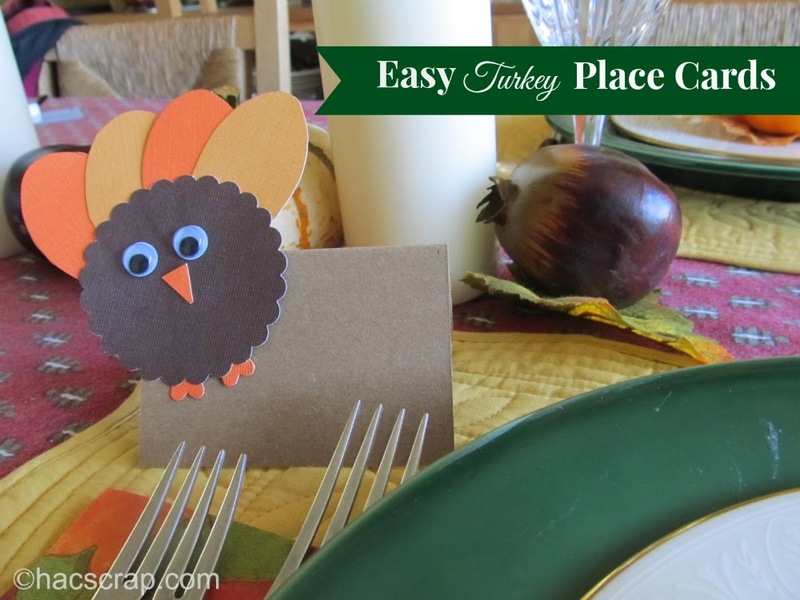 I was flipping through the latest Paper Source catalog, and Owen saw this beautiful Thanksgiving table scape with adorable turkey place cards. He asked if we could make some, so I ripped out the page and said, "probably". 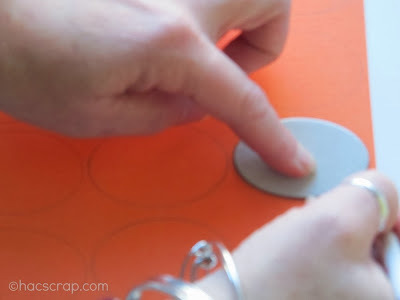 Who doesn't love a good craft challenge? 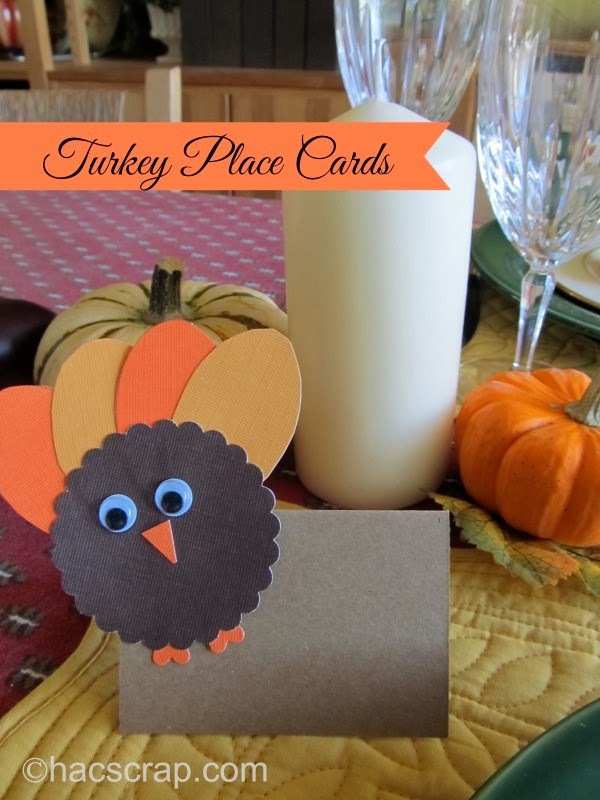 Since Thanksgiving is this week, we sat down on Saturday and got to work on our turkey place cards. 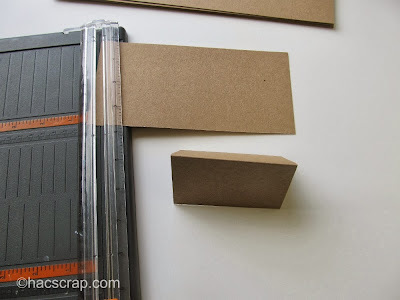 I used all materials I had on-hand in my crafting stash, so this was a budget-friendly craft as well. 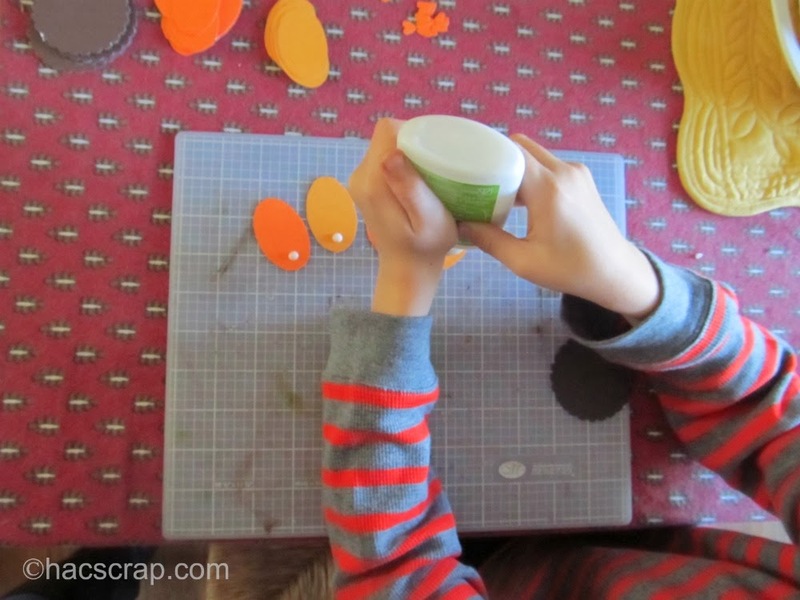 To make our turkey bodies, I used a scalloped edge paper punch. You can also trace circles on dark brown cardstock and cut them out. To make tail feathers, I used a chipboard oval that I had in my stash and traced it on yellow and orange cardstock. You can also free-hand these and make them any shape you's like. To make the beaks, I cut a small rectangle of orange cardstock, then cut small triangles from that. 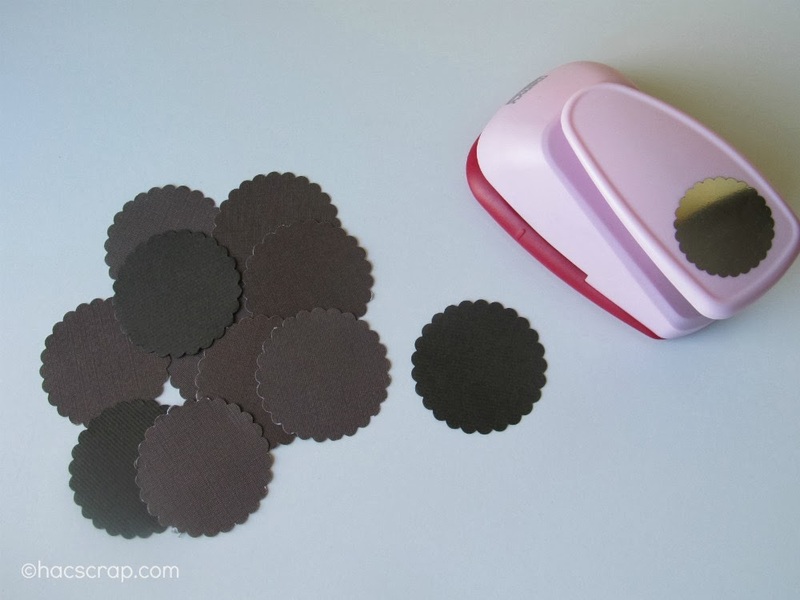 To make the feet, I used a small heart-shaped paper punch and turned them point-side up. Again, you can free-hand. 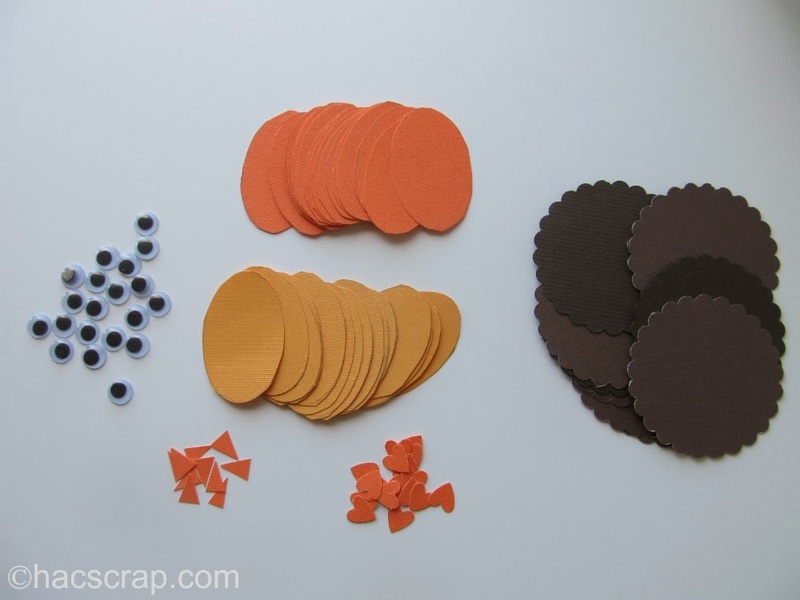 Now that you have all your pieces, you can assemble your turkeys. I laid out 4 tail feathers, alternating orange and yellow. I used white school glue on the bottom corner, and fanned them all together then stuck my dark brown turkey body on top. Attach the eyes, beak and feet with glue and let your turkeys dry. Once the turkeys are dry, you can attach them to pre-cut place cards, or make some out of white or colored cardstock. Write your guest's names in silver, gold or black ink - and you're done. 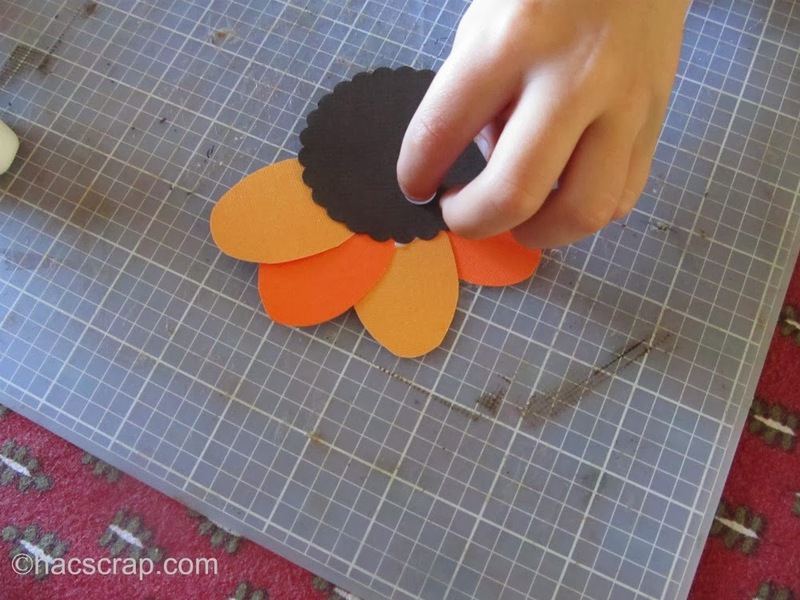 Since it's all paper, it's a great craft for a child to put together - they can use white school glue and have a lot of fun. Owen is very excited to bring these down to Mimi and Pop-pop's for our Thanksgiving feast. Are you putting anything special on your Thanksgiving table this year? Those are so cute! So easy and festive. How cute and fun for the kids!! I'm lucky if I get FOOD on the table this year. This is adorable!